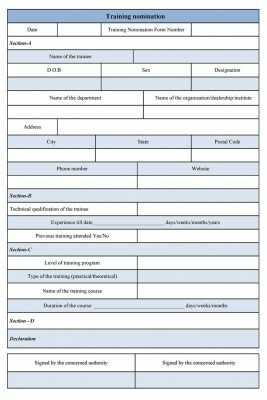 A training nomination form, as its name says, is made for nominating trainees for a training program. A company or organization arranges various training programs as to train the deserved employee to extend their skills. The form is produced to nominate an employee who meets the level of requirement for the program. It has no basic format though, but it can be organized as per the company’s requirements and needs. A company can also use the interagency nomination form for the program. 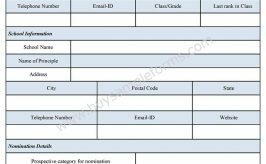 The template of the form contains information regarding the employee who is nominated for a program. It includes his/her personal details, such as name, DOB, designation and department. 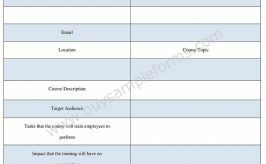 Other than that, the form also mentions the technical details of the training and the level of the training program. To make the data valid, the signature of the concerning person is needed. The template of the form is available in both PDF and word format. You can download and make necessary changes as per your company’s policy.